Shop No. 28691, Street2, Floor4, Gate No.55, MarketInternational Trade Mart (District 3). 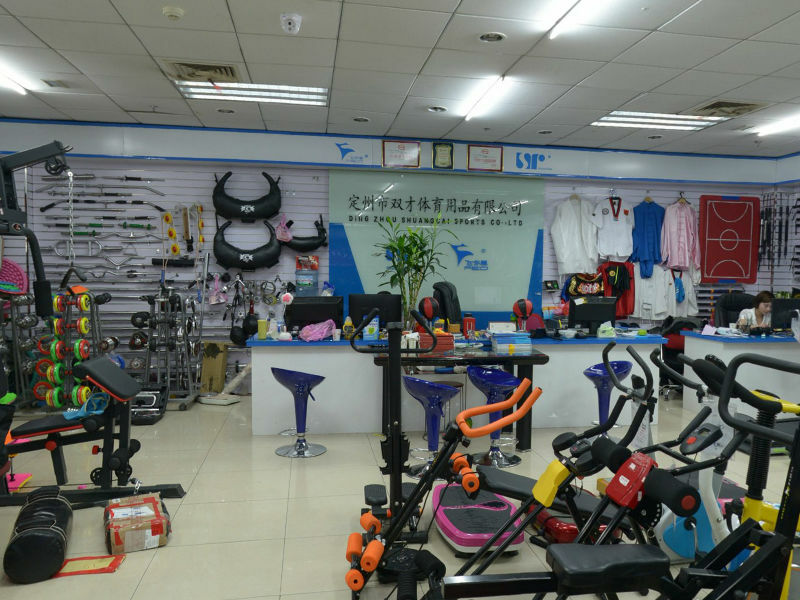 Introduction： Dingzhou Shuangcai Sports Goods Co., Ltd. was established in 1993, specialized in manufacturing body building products. In nearly 20 years constant pursuit, the company has been continuously growning up. Now it has become the production basis of dumbbells and barbells in North China. The products are sold all over the country as well as Hong Kong, Macao and Taiwan, and exported to Europe and America. Some products are designated as training products especially for National Professional Institutes and cosmonauts.